Type 3R Enclosure, Screw Cover, Bulletin A90 Degree3 (Screw cover Type 3R), Size/Dims 8.00x8.00x4.00, Material:/Finish Galvanized/paint. Type 3R Enclosure, Screw Cover, Bulletin A90 Degree3 (Screw cover Type 3R), Size/Dims 8.00x6.00x4.00, Material:/Finish Galvanized/paint. Type 3R Enclosure, Screw Cover, Bulletin A90 Degree3 (Screw cover Type 3R), Size/Dims 12.00x12.00x4.00, Material:/Finish Galvanized/paint. Type 3R Enclosure, Screw Cover, Bulletin A90 Degree3 (Screw cover Type 3R), Size/Dims 10.00x10.00x4.00, Material:/Finish Galvanized/paint. 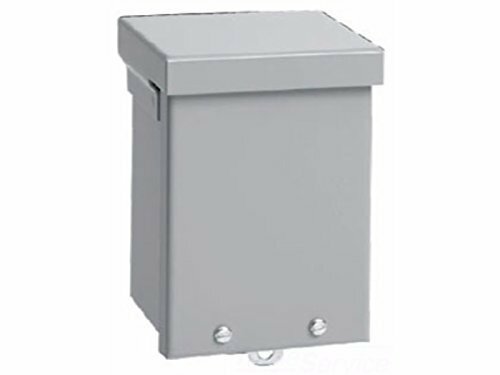 Type 3R Enclosure, Screw Cover, Bulletin A90 Degree3 (Screw cover Type 3R), Size/Dims 6.00x4.00x4.00, Material:/Finish Galvanized/paint. 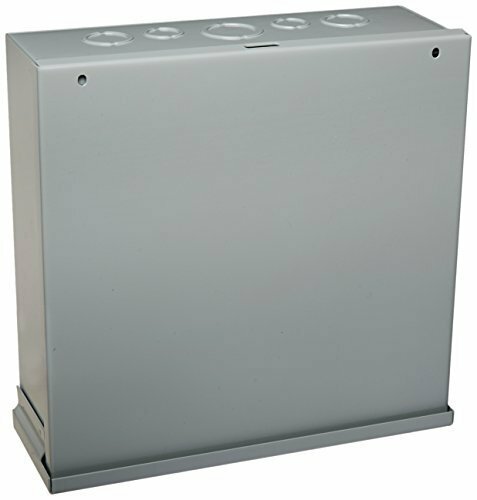 Allied Moulded Products 6" x 6" x 4" JIC Size enclosure is molded with Ultraguard fiberglass reinforced polyester material and has a matching screw down flat cover. Designed to insulate and protect controls and components in both indoor & outdoor applications. Especially well suited for high temperature or corrosive environments. Protects from dirt, dust, oil and water. 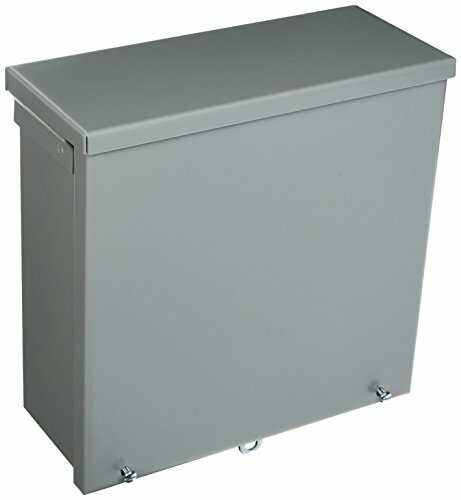 Allied Moulded enclosures provide excellent protection for applications such as agriculture, food processing, car washes, chemical plants, machine and motor controls, oil and gas, marine, mining, pump controls, security systems, telecom, wireless systems, transportation, utilities, water distribution and wastewater systems. Includes 300 series stainless steel captive cover screws and 300 series stainless steel mounting feet with 10-32 stainless steel screws. Meets UL Types 1, 2, 3, 4, 4X, 6P, 12 and 13. Meets NEMA & CSA Types 1, 2, 3, 3R, 4, 4X, 6P, 12 & 13. Meets IEC 60259 Type IP66 and are IP 68 up to 24 hours at a depth of 6 feet (1.8 meters). Compliant with RoHS directive (Restriction of Hazardous Substances). 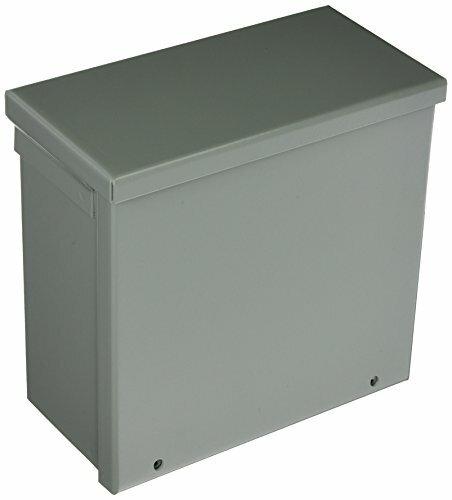 Type 3R Enclosure, Screw Cover, Bulletin A90 Degree3 (Screw cover Type 3R), Size/Dims 24.00x24.00x6.00, Material:/Finish Galvanized/paint. Type 3R Enclosure, Screw Cover, Bulletin A90 Degree3 (Screw cover Type 3R), Size/Dims 10.00x10.00x6.00, Material:/Finish Galvanized/paint. 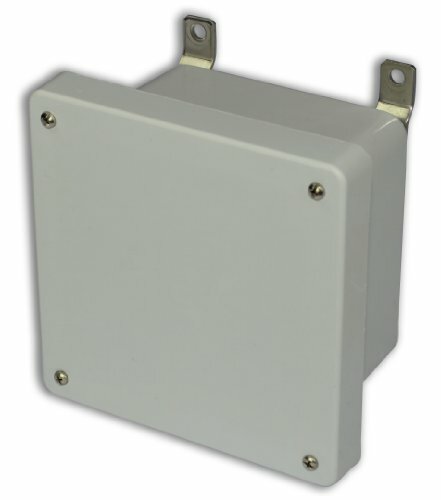 Allied Moulded Products 8" x 6" x 4" JIC Size Polyline enclosure is injection molded with polycarbonate thermoplastic and has an opaque polycarbonate flat cover secured with non-metallic latches. Designed to insulate and protect controls and components in both indoor & outdoor applications. Light weight, impact resistant and good corrosion resistance for many industrial enclosure appoications and a great alternative to metallic enclosures. Protects from dirt, dust and water. 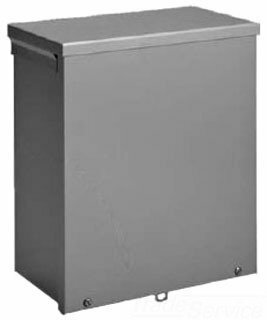 Allied Moulded enclosures provide excellent protection for applications such as agriculture, food processing, car washes, chemical plants, machine and motor controls, oil and gas, marine, mining, pump controls, security systems, telecom, wireless systems, transportation, utilities, water distribution and wastewater systems. Includes polycarbonate mounting flanges. Meets UL Types 1, 2, 3, 4, 4X, 12 and 13. Meets NEMA & CSA Types 1, 2, 3, 3R, 4, 4X, 12 & 13. Meets IEC 60259 Type IP66. Meets enclosure flammability V-0 per UL 94. Compliant with RoHS directive (Restriction of Hazardous Substances). Bodies and doors fabricated from 16 gauge carbon steel. Continuous hinge. 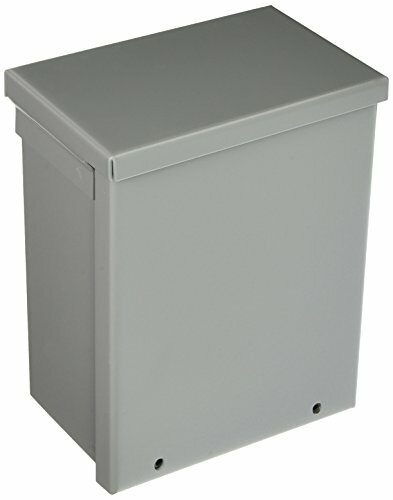 Lid is supplied with a pad lockable draw latch. Hinge is made of carbon steel with a stainless steel hinge pin. 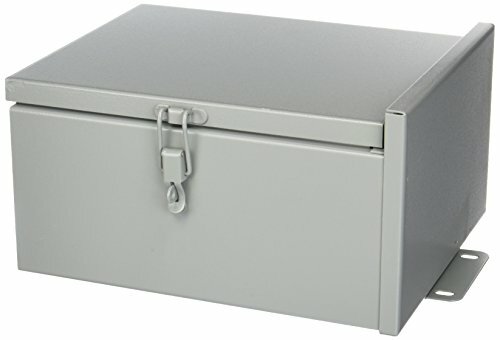 Standard size enclosures are provided with knockouts in bottom. Weld nuts provided for mounting optional back panels. External mounting plates, top and bottom of enclosure. Knockouts on bottom of enclosure. Grounding provisions provided. 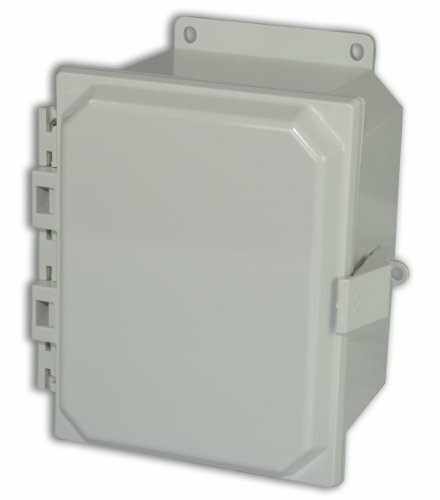 Looking for more Nema 3r Junction Box similar ideas? Try to explore these searches: Rustic Captain Bed, Traxxas Tuned Pipe, and 979 Series. Shopwion.com is the smartest way for comparison shopping: compare prices from most trusted leading online stores for best Nema 3r Junction Box, Song Stoneware, Knife Black Blade Kydex Sheath, Nema 3r Junction Box . 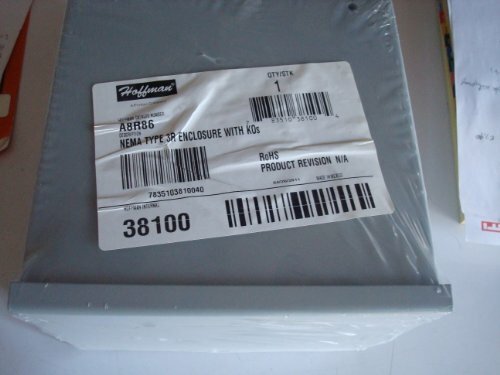 Don't miss this Nema 3r Junction Box today, April 20, 2019 deals, updated daily.